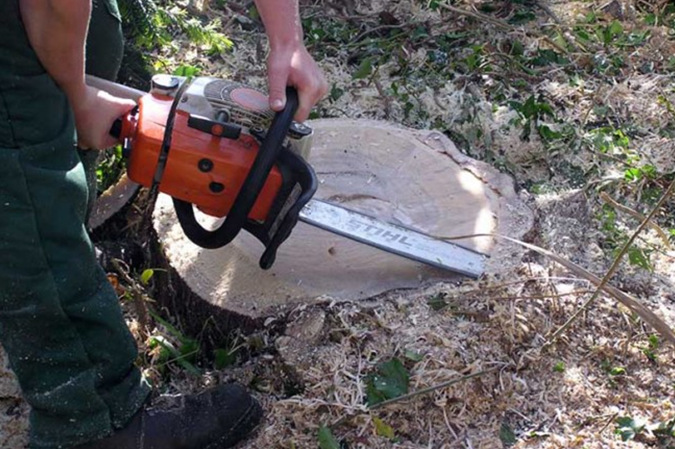 How to Get the Most From Your Chainsaw – With a few tips that we have listed here, you can learn how to use a chainsaw effectively. When dealing with this tool, you must know that operating the machine can be very dangerous. If you want to use it, make sure that you know about special safety requirements and its hazards. Take a good look at some helpful tips that we have listed below. Learning how to use a chainsaw correctly is important so that you can keep yourself safe while working. You can read our tips here so that you can avoid some mistakes. The first thing you can do is to read all instructions and precautions in the user’s manual. By knowing this information, you have some ideas how to use the machine correctly. When buying a chainsaw, make sure that you know how to choose the right size and blade configuration. If this is your first time buying a chainsaw, then it is a good idea to rent one from your local tool rental store. By doing this, you can get an idea of the blade configuration and size that you are comfortable using. Before you can use a chainsaw, make sure that you check whether you have room to do the job safely or not. You can watch for nearby cars and buildings, overhead power lines and obstructions, and escape room from falling trees. There are 4 normal cuts that you must know before you want to use this tool. Each type comes with cautions and considerations that should be addressed carefully. These types are trimming, bucking, Limbing, and felling. The next task is to choose a chainsaw that fits your needs. The best chainsaw should be suitable for your project and build. If the correct oil is not used, your chainsaw may burn up quickly. It is obvious since a chainsaw is two-cycle engines, thus knowing how to fill the gas tank with the correct fuel is important. Don’t forget to protect yourself when using a chainsaw. This machine can be very dangerous if it is not used correctly. There are some tasks that you can do so that you can ensure that the machine can be used safely. For example, you can check whether the chain is on properly or not. You can also check whether the air filter is properly installed or not. Once you have used the machine, make sure that you allow the chainsaw to cool down before storing. Another good idea is to drain out the oil and fuel before storing since they are flammable materials. By reading our tips here, you should know how to use a chainsaw correctly.